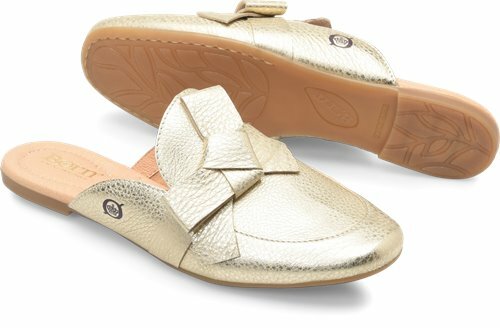 A buttery soft leather slide with a padded insole, adorned with a beautiful leather bow. Absolutely a great shoe. Love the fit and style. Comfortable too.